1905-May. 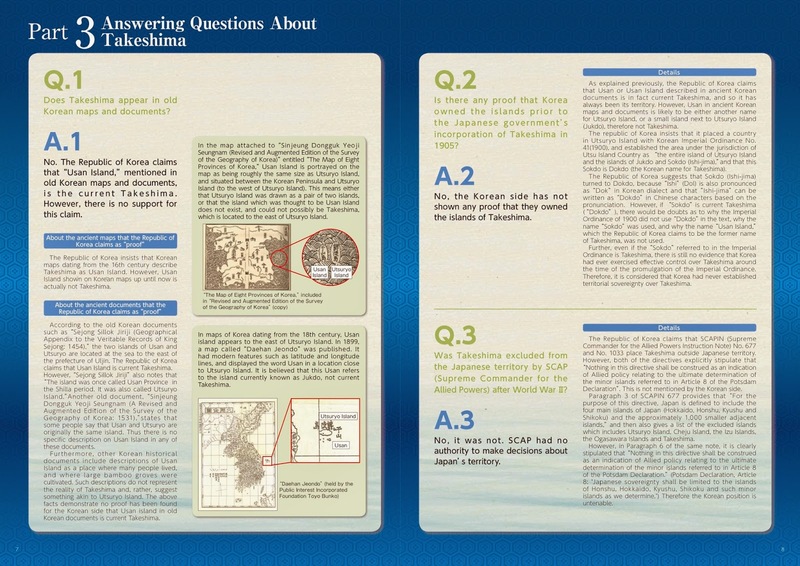 14 - San-in Shimbun "Sea-lion Hunting on Takeshima"
Althogh pro-Korean claim that Japanese secretly incorporated Takeshima into Shimane knowingly that it is Korean, so many hard evidences at the time prove that this is not the case, as has alredy been showed on this site as well. The article I introduced here is one of them. 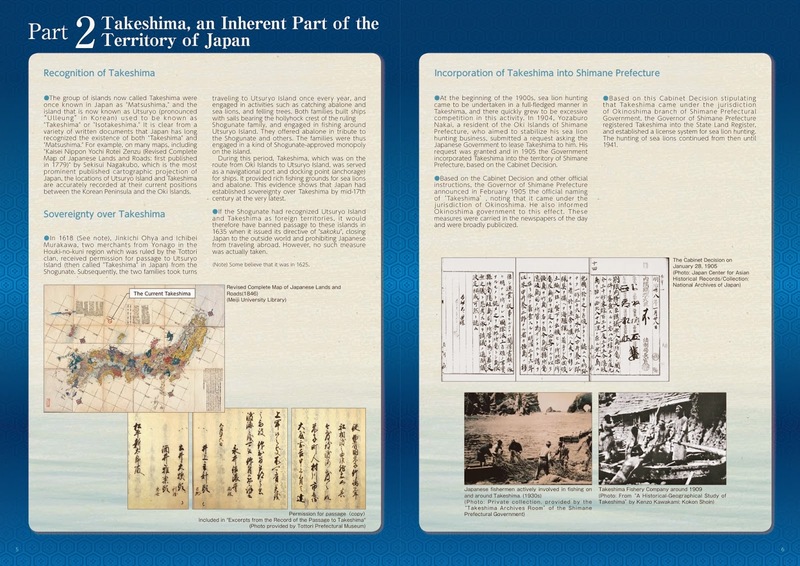 The report about Sea-lion hunging on Takeshima dates back to two weeks before the famous Battle of Tsushima which almost ended around Takeshima on 28th May 1905. This is one of the good evidence not only that incorporation was not "secret" at all, but also people of Shimane has already know the fact of incorporation very well. 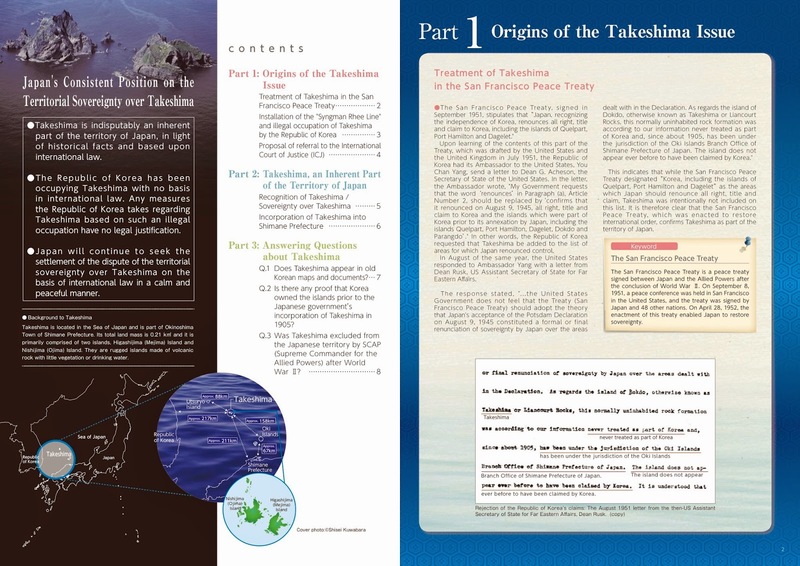 As you readers have already know, Takeshima is a solitary island far off in the sea which locates 85 sea-ris north-west of Oki country and one of the island is around 20-chou(町), the other is merely aounrd 12-chou. Mr. Nakai Yonesaburo first voyaged tothe year before last and found the colony of Sea-lion. He found it is a pity that the island is omitted from the sea-chart, and petitioned to the national government. Through the good offices of Mr. Nakai, the islands were determined as the territory of the empire and incorporated into our Shimane prefecture by the Prefectural Order on 22 Feb. Ths islands are, as were described above, a meeting place of sea-lions for three months from May to July. Now apart from Nr. Nakai, three more rivals has emerged. Then they publised the licence only to those four and is going to let the four to hunt cooperatively. Furthermore, from what I hear, the period of time above are the period of their deivery, so the female are on the land for nurcing the baby, and male also land for the love of female. This is convenient for hunting. 7-8 thousand of sea-lion are on the same zone, tops, but excessive hunting would damage their reproduction. So the number of hunting is limited to 6-7 hundred per year so that they would make a profit for 5-10 years." The article says the man's name was Yonesaburo, but it is Yozaburo or Yosaburo, in fact. San-in Shimbun(山陰新聞) is a local newspaper in Matsue, and now it called San-in Chuo Shinpo(山陰中央新報). The article was founded and provided by Mr. Magic Eye, who is a good researcher and a collector of those historical stuff. Thank you for sharing a good information with us ! The Diplomat: "The ICJ and the Dokdo/Takeshima Dispute"
This article is a good and fair summary of the current situation with the Liancourt Rocks dispute, but it seems to be trying too hard not to offend either Japan or South Korea. Fortunately, I do not have to worry about that. "The Island of Dokto (otherwise called Liancourt and Take Shima) is in the Sea of Japan approximately midway between Korea and Honshu (131.80E, 36.20N). This Island is, in fact, only a group of barren, uninhabited rocks. When the Treaty of Peace with Japan was being drafted, the Republic of Korea asserted its claims to Dokto but the United States concluded that they remained under Japanese sovereignty and the Island was not included among the Islands that Japan released from its ownership under the Peace Treaty. The Republic of Korea has been confidentially informed of the United States position regarding the islands but our position has not been made public." The South Korean claim that there is no dispute with Japan over Liancourt Rocks is ridiculous, especially when the South Korean government has been refusing to meet with Japanese officials because Japan publicly claims the Rocks. South Korea currently occupies Liancourt Rocks and knows that Japan will not use military force to retake the them, so why is South Korea making such a fuss over the Rocks and using the dispute as an excuse not to improve diplomatic and military cooperation with Japan? That is the question the United States should be asking itself and South Korea. The answer may be that South Korea wants to keep its options open with both China and the United States. By feigning outrage with Japan over Liancourt Rocks, South Korea may be hoping to ease Chinese concerns of a possible South Korea-Japan military alliance while also using the dispute as an excuse for rejecting US requests to form a closer alliance with Japan. In other words, Korea seems to be using its old strategy of trying to remain neutral by playing off against great powers. I think South Korea should reconsider such a strategy, especially since it did not work last time. Gerry posted an article about this news. Mr. Matsu got the Korean researcher’s (Yoo Mi-rim) book and original texts of Chinese documents became identified. It also turned out that there ware fatal mistakes in Yoo Mi-rim’s interpretation of Chinese records. She didn’t verify a possibility that “竹島” described in those documents are Jukdo. She neglected important descriptions about geographic and local administration during annexation in Chinese records. We must verify original records of Korean publications, because Korean scholar often uses gimmicks like this. This map was made according to SCAPIN677. China recognized SCAPIN and this map as the consultation. 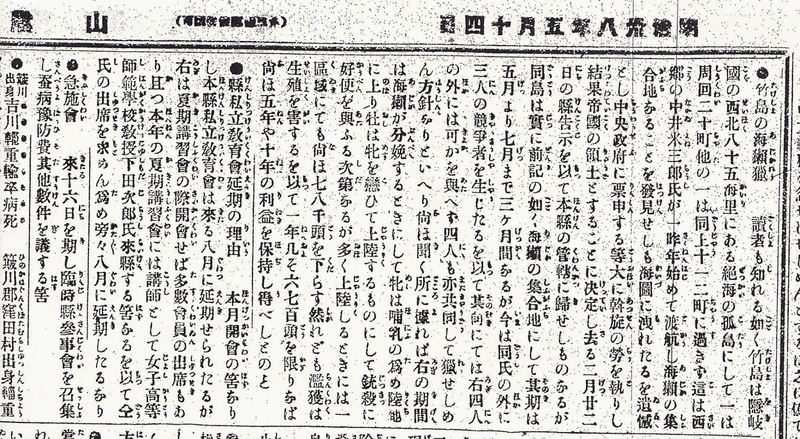 Original text of 『日本領土處理辨法草案』 is as follows. "SCAP/GHQ ordered the Japanese administration area during occupation at Jan 29, 1946. Though SCAPIN didn't have the vigor against peace treaty, it is the most important background material." China recognized SCAPIN was not concerned with the peace treaty and the most important background material. "It is originally belong to Korea. In legal and moral principles, we have to of course say that they belong to Korea. During the trusteeship, these three islands should be governed by the United States or China, During the trusteeship, the three islands should be governed by the United States or China and otherwise United States should have jurisdiction over Ulleongdo and 竹島 and China should have jurisdiction over Jeju Island." China recognized that ”竹島” should return to Korea according to SCAPIN. It seems that China didn't research the history about Ulleongdo and "竹島" at this time, because there is no specific description about the history. "Ulleongdo originally belonged to Shilla. Japanese troops occupied during the Japanese Invasion of Korea in 1596 and it was went back to Korea in the period of Tokugawa Bakufu. Since Japan annexed Korea, it remained under the jurisdiction of North Gyeongsang Province of Korea. The area of the main island is about 7,225 square meter and 竹島 is the attached island. According to the survey of 1928, the population is 10,466 and only 600 among these are Japanese. Then, Ulleongdo and 竹島 should not be returned to Japan." This is first record which describes about the specific history. China researched the old history of the Ulleongdo. She made judgement according to old history of the Ulleongdo and administration area during the annexation. Ulleongdo which was consisted of the main island and an attached island “竹島” was under the jurisdiction of North Gyeongsang Province during the annexation. 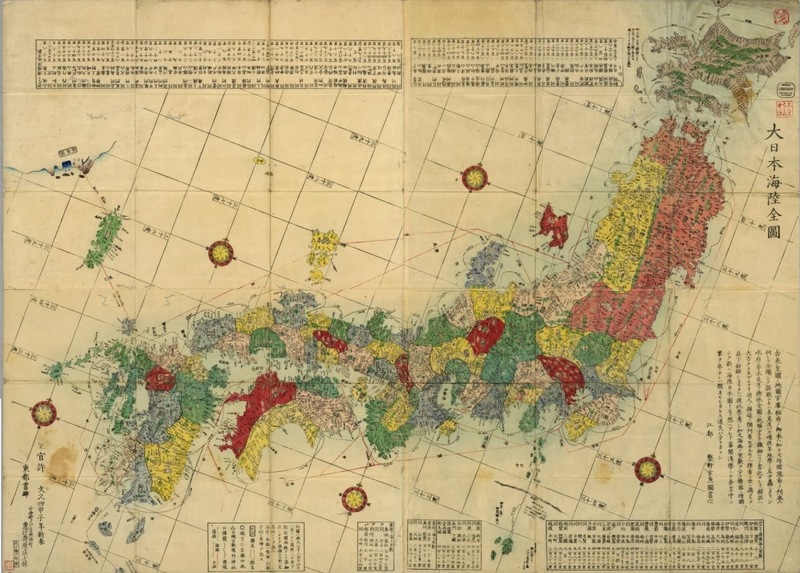 This map was made by the Governor-General of Korea at 1918. This map proves that “竹島” which was under the jurisdiction of North Gyeongsang Province is not Liancourt Rocks but Jukdo. Liancourt Rocks had been exercised jurisdiction by Shimane prefecture of Japan during the annexation. Then "竹島" of this record is Jukdo. Original text of 『韓國疆域問題意見』 is as follows. See above map. "竹島" which is located at the northeast of Ulleungdo is Jukdo(Chuk-to). Liancourt Rocks is located at the southeast of Ulleungdo. Then "竹島" of this record is Jukdo. First, China made judgement "竹島(Liancourt Rocks)" should be returned to Korea according to SCAPIN, though they knew that SCAPIN has no effect against peace treaty. 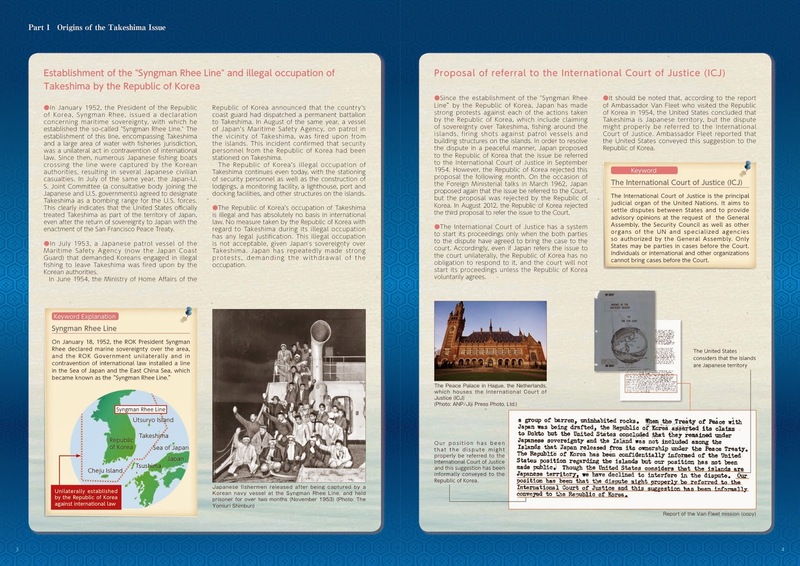 Next, China researched the historical materials and administration area during the annexation. And they made judgement that "竹島(Jukdo)" should be retuned to Korea. It has possibility that China mixed up Liancourt Rocks and Jukdo. However Liancourt Rocks will become Japanese territory and Jukdo become Korean according to her latest criteria which are local administration during annexation and attached island. This Chinese criteria that border should according to the local administration during the annexation isn't strange. A similar criteria often apply to the decision making about the border of colony at the ICJ. Korean ignore unfavorable descriptions for their claim and patch up various records. Then they make their story what they want. In this case, they emphasize records which are according to SCAPIN, because "竹島" of SCAPIN is Liancourt Rocks. Next, they decide prematurely that "竹島" of all Chinese records is Liancourt Rocks, though descriptions of some records prove out that "竹島" is Jukdo. "日本領土處理辨法硏究" was described according to SCAPIN. But this doesn't prove that “日本領土處理辨法草案”and "日本領土處理辨法草案" ware same. We often change an opinion in the process of examination according to the new information and situation. Korean can't understand this common sense. They pick up only the record which has the favorable description and they disguise like it is final decision. After that Korean apply this decision to other records looks like patchwork. Korean uses same gimmick in follow cases. Korean ignore the geographic information of maps. They concluded this Usando is Liancourt Rocks from the name of “Usando”. They say that Usando is Liancourt Rocks because it was proved by another record, though the geographic information of this map correspond to Jukdo. Korean ignore the geographic information of maps. They concluded this 松島 is Liancourt Rocks from the name of “松島”. They say that 松島 is Liancourt Rocks because it was proved by another record, though the geographic information of this map correspond to Ulleungdo. Korean ignore latest drafter’s decision. And they say that early drafter's opinion which was changed is valuable. 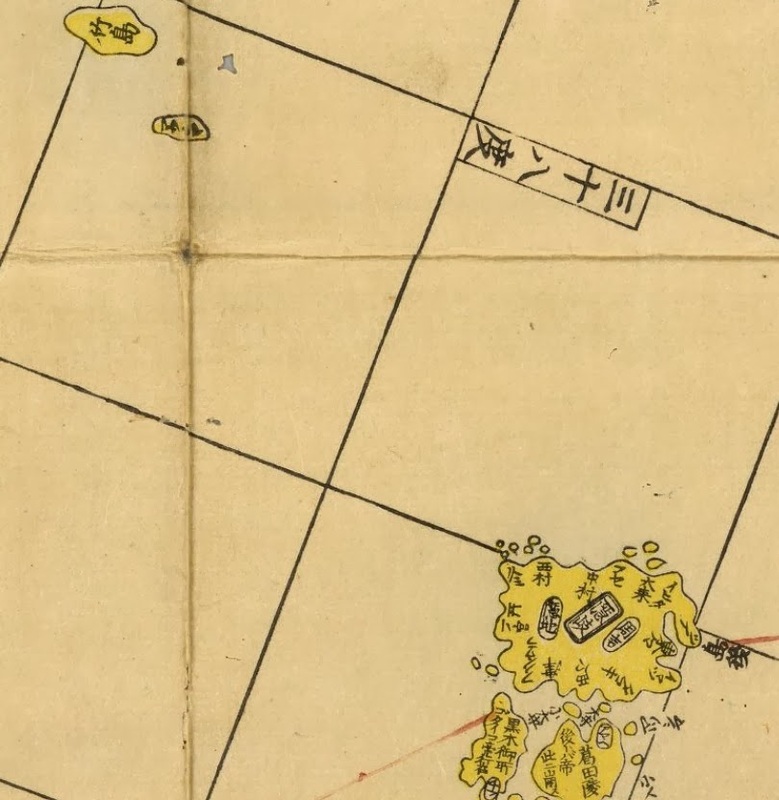 "First discovery of Chinese documents marking Dokdo as Korean territory." Really?